(91outcomes.blogspot.com) -- For years, the cancer-causing properties of long-term exposure to mustard gas have been well known. In a new study published in the January 2010 edition of Clinical Lung Cancer, two researchers reviewing studies of soldiers exposed to mustard gas have found that a single acute exposure to mustard gas can lead to lung cancer. 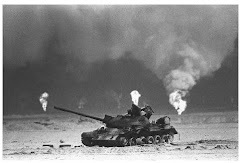 Mostafa Ghanei and Ali Amini Harandi, scientists at the Research Center of Chemical Injuries, Baqiyatallah University of Medical Sciences in Tehran have been studying a cohort of veterans of the 1981-88 Iran-Iraq war who were exposed to mustard gas. Sulfur mustard (SM), a major potent chemical warfare agent, has been used for its acute toxic effects. Over time, unfortunately, many different long-term health effects of exposure to SM have been detected in humans. There are many available data from soldiers or civilians exposed to SM: testing programs, contaminated workers in factories who were involved with the production of SM, and animal and molecular studies. Today it seems that our data are enough to discuss the carcinogenic effects of exposure to SM—as an alkylating agent—many years after exposure. Herein, we review all available published documents regarding the lung carcinogenicity of SM after both long-term and especially short-term exposure in humans. In summary, it is well documented that SM can cause human lung cancer after long-term exposure, but there has not been strong and definitive evidence for only short-term and acute, single, high-dose exposure until now. 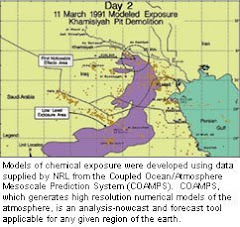 At least some U.S. and Coalition troops were exposed to mustard gas and Lewisite gas during the 1991 Gulf War that forced Iraqi occupying forces out of Kuwait. Saddam Hussein’s troops, ordered by Saddam’s cousin “Chemical Ali” – executed last week for crimes against humanity – led chemical warfare agent attacks against Shiites in southern Iraq and Kurds in northern Iraq shortly after the February 1991 ceasefire again. Those attacks included the use of mustard gas.